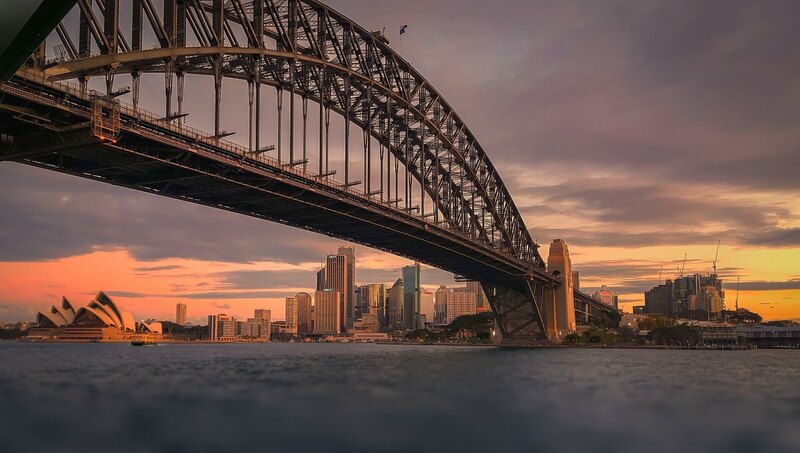 A cosmopolitan City featuring grand, modern architecture, historic precincts, idyllic surf coastlines and white sandy beaches; a stopover in Sydney could easily be a highlight of your trip abroad. With the international airport being just 15km from Sydney’s city centre and equally as close to the World famous Bondi Beach, a short period of time in Sydney can easily be maximised. Shopping at the Queen Victoria Building before sipping cocktails on Darling Harbour, but only after first checking out the Opera House, or soaking up the sun at Bondi after walking the glorious coastal walk; the choice is yours. To save your planning time & increasing your enjoyment time, we’ve got your Sydney stopover itinerary covered. Jump on a train from the airport and head straight out to the Eastern suburbs for the World famous Bondi Beach where your eyes can enjoy a carnival of activity. Take your swimmers, beach towel and book or hire a surfboard at Let’s Go Surfing and make the most of Sydney’s hot summer days. A walk of the famous coastal walk from Bondi to Bronte, or further to Coogee will take up to 3 hours and the views are truly magnificent. If you’ve been cooped up on an international flight, this is a perfect way to stretch your legs out and there are small lockers at Bondi Pavilion to store items while you walk. Stop for lunch at Bronte’s Three Blue Ducks where clean, nutritous food will impress your taste buds and wash it down with a refreshing beer or nice glass of rose before wandering back to Bondi Beach. Bondi is a great place to spend the evening either relaxing on the grass watching the sun set or taking advantage of the numerous restaurants and bars. 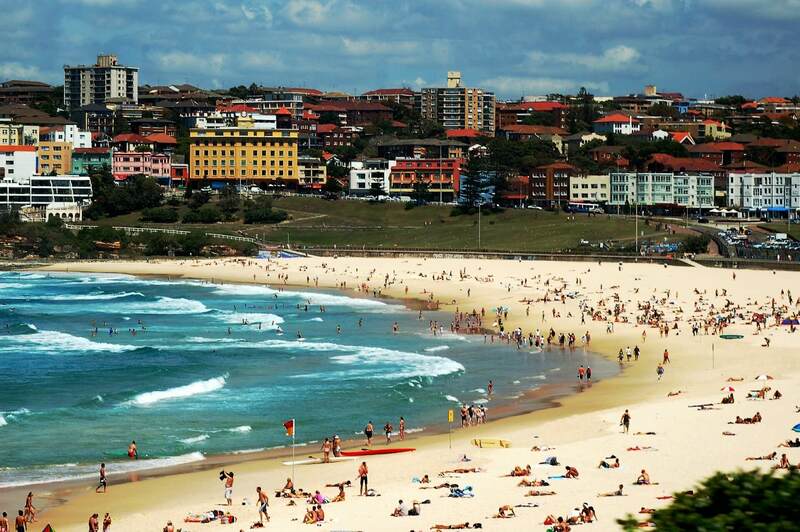 Bondi is lively place to be 24 hours a day. If you’re fortunate enough to make it to Sydney on a Sunday, the Bondi market is worth a visit. Expect crowds though as you peruse the boutique style fashion, one off jewellery and homewares; the Bondi market sells the best quality pieces. After cruising the market take a taxi or bus from Campbell Parade to Watsons Bay where you’ll have views of the Sydney Harbour Bridge from a small beach. Take a picnic, walk ‘The Gap’, or enjoy the prestigious seafood restaurant, Doyles, which has been an icon of the Eastern Suburbs since 1885. If you prefer a more upbeat session the neighbouring Watsons Bay Hotel is bound to have music playing through the day, for outdoor social drinks. From Watsons Bay take a ferry to Sydney City where you’ll disembark at the Rocks; next to the Sydney Harbour Bridge and walking distance to The Sydney Opera House. Here you can dine at any of the upmarket restaurants before a night cap at Marble Bar on George Street. This 1920’s style bar is an intimate way to enjoy a martini with your travel buddy. 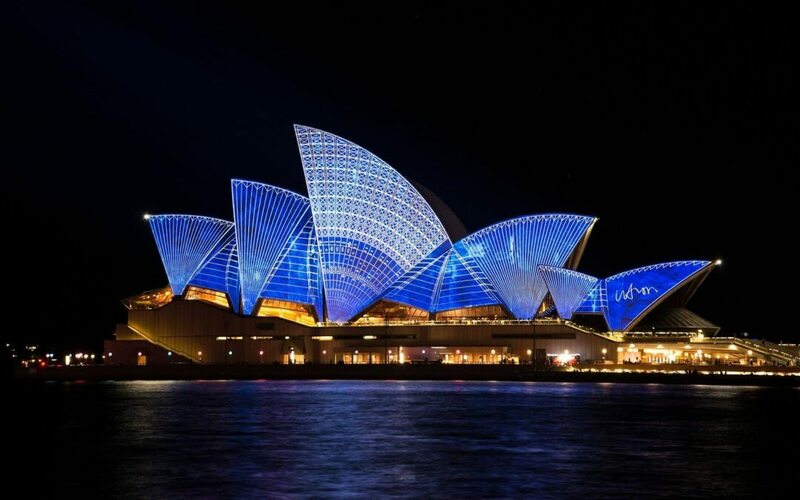 Some popular tours you may wish to consider time permitting are the Syndey Bridge Climb for amazing veiws not for the faint hearted or for something a little more sedate you have the guided Rocks Walking Tour where you will discover the history of Sydney, visiting prominent building and colonial-era sights.